Hey, music collectors: good news! 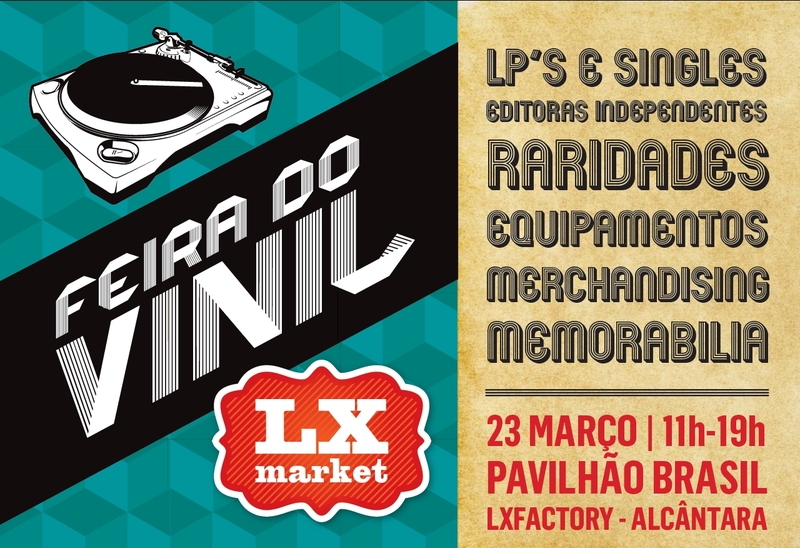 The first edition of the LxMarket vinyl fair is taking place on March 23rd (Sunday) at Lx Factory near Alcântara, and will gather record shops, independent labels and distributors, merchandising, memorabilia and Hi-Fi merchants under the same roof! Vinyl records will have the spotlight but CDs will also be available. Produced by A Record A Day and LxMarket, the fair will also present a photo exhibition of original promo shoots of various artists such as Sonic Youth, Morrissey, Iggy Pop, The Who, Beach Boys, Jesus and the Mary Chain, Frank Zappa, Tom Waits or Bob Dylan, as well as DJ sets by Maria P (Wonderland Club) and Edgar Raposo (Groovie Records). And if you still need an excuse to drag your partner along, the regular LxMarket will be happening simultaneously, presenting its usual offer of used clothes, furniture, books and all kinds of odds-and-sods.